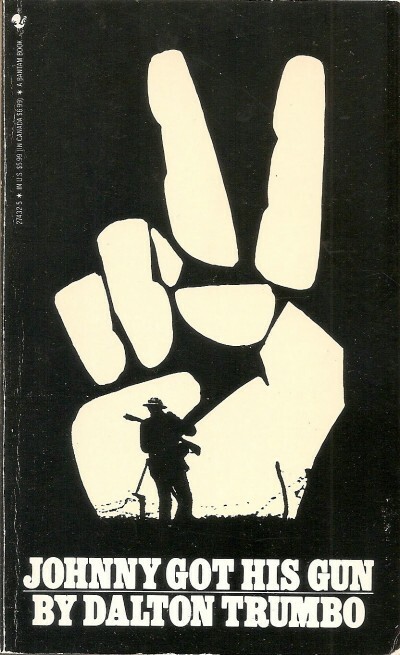 Years ago, I read author, screenwriter Dalton Trumbo’s 1939 classic novel “Johnny Got His Gun” – one of the most stunning ever fictional indictments of war, impossible to read his chilling account of its barbarity in human terms without being deeply affected. Joe Bonham is the protagonist, a US WW I soldier, a war during which my father served in France, thankfully coming home in one piece, mind and body intact, no signs of what he may have seen or endured with one exception. He shunned discussing the war. I and my brother never pressed him. Bonham awakens in a hospital after an artillery blast shattered his body beyond repair, physically and emotionally numb to what happened. Gradually he realizes he lost both arms and legs, his face, including both eyes, ears, teeth and tongue. His mind alone functions normally. The horrors of war destroyed him – Trumbo’s polemic a heart-wrenching testimonial indictment of all wars, the highest of high crimes. So-called good ones don’t exist, not now, not ever, WW II worst of all, a nuclear one if waged will be the ultimate war crime, risking humanity’s destruction. Bohnam initially can’t bear living in a shattered torso, nothing else remaining of his former self. He reconsiders, wants to be placed in a glass enclosed container and taken on tour nationwide – to show as many people as possible the true horrors of war. Without any normal way to communicate, he does it by tapping Morse code statements on his pillow, using his shattered head. He realizes his wish won’t be granted. His only option is enduring whatever time he has left in his shattered condition, unless able to end it by suffocation or other means. He can’t walk, talk or do anything normally. He’s a living corpse, drifting between reality and fantasy, remembering pre-war times past, his normal life with family and girl friend. Al Jolson and Enrico Caruso-sung versions were recorded. Nothing glorious about “over there” exists, not in WW I or any wars. Trumbo deplored them. Pacifists in America are generally shunned publicly. His novel was well received, winning a 1940 American Booksellers Award, published days before WW II began, over two years before America’s direct involvement. A 1940 NBC radio adaptation starred James Cagney as Bohnam. In 1971, Trumbo directed the film version of his novel, Timothy Bottoms in the lead role. A 1982 stage play followed, first off-Broadway, then worldwide. Revived film and stage versions are vitally needed now – pulling no punches, revealing the horrors of war the way Trumbo explained them in his lead character. It bears repeating. No wars are good ones. All are fought for wealth, power, conquest and dominance. No one endures their horrors without being scarred for life in some ways, lucky ones returning with their bodies and minds intact, managing to get on with their lives as normally as possible. Too many others are physically and/or emotionally affected forever, traumatized or disfigured, their lives never the same. To the victors go the spoils. For soldiers at all levels in battles, few are spared the horrors of war in some ways. No one forgets the nightmarish experience – why humanity desperately needs a way to end wars or they’ll end us. With today’s super weapons, there’s no in between.